“The campaign strategy of the Concerned Citizens Movement (CCM) is that they have injected the St. Kitts-Nevis Labour Party and the Prime Minister of St. Kitts and Nevis into the local Nevis politics. 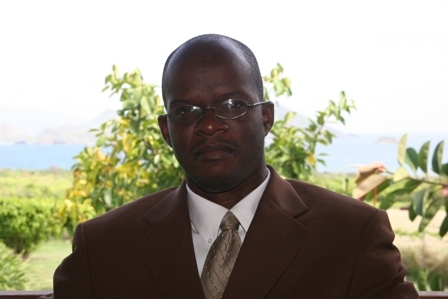 Clearly it is the promotion of the policy of division and (CCM) people still believe once you speak about Labour in Nevis you evoke certain kinds of emotion,” said Mr. Nisbett, who is a candidate for the Electoral District of Nevis 4, for the Nevis Reformation (NRP) in the July 11th poll. “But I believe clearly the people of Nevis now have demonstrated that that talk was for a different era. The people of Nevis recognise that a better working relationship between St. Kitts and Nevis is in the best interest of the people of Nevis,” Mr. Nisbett said on the radio programme “Breakfast Menu with Walter Morton” on Choice Radio 105.3 FM Friday Morning. Mr. Nisbett said there are numerous pronouncements by Prime Minister Douglas that he is in no way involved in the local politics in Nevis. “I believe that the Concerned Citizens Movement, having no issue and no real agenda to bring to the people of Nevis as to why they should vote for them in this election, have resorted to the politics of the 1960’s and 1970’s whereby once you divide the people, you will be able to rule them. But I say that I believe that that strategy has failed miserably because the people of Nevis have not responded to that,” said the Federation’s Attorney General. “What the people of Nevis has recognized and it is for them to see before their eyes that a better working relationship between both governments – the Nevis Island Administration in Charlestown and the Federal Government in Basseterre – is in the best interest of all concerned,” said Mr. Nisbett. He said he is not surprised of that particular strategy. “The CCM seems not to be concerned about a harmonious and professional relationship with the Federal Government in St. Kitts. I really do not think that the CCM is concerned. They do not care because for 14 years in Office, they promoted a policy of confrontation with the Federal Government and we realize that confrontation with the Federal Government is not in the best interest of the people of Nevis,” said Mr. Harris.